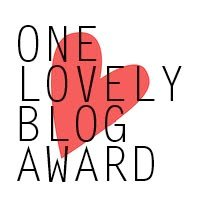 I am happy to announce, I’ve been nominated for 2 awards by Sara of Fooding Rookie Blog Thank you for the nomination. I started this blog to share some of the great foods that I have had while traveling around the world. Growing up the son of a Diplomat we moved every three years and this is where I learned to love the diversity of the different cultures and the food of that country. It’s amazing to see a dish come to life and that others love what you have created. Slow foodista, world traveler, irreverent, oyster farmer, ENPT, Born a metal on the year of the rat, and conformed non-conformist. 1) Shelly who writes ArianVntures keeps me laughing and I enjoy reading her blog so much with all her vegetarian recipes. 2) Omnomalicious by Pam and Jessica have a great blog with lots of great ideas for pastas. 3) Christina who writes a blog called Sweet Pea’s Kitchen always has some great ideas for my sweet tooth. 4) Brownie Points earns points with me for just knowing that July 23rd is National Vanilla Ice Cream Day and the Brownies are to die for. 6) On The Monkey Trail is her this mom’s kitchen, ideas on life in food. It’s about the mood as much as the method. 7) Barbara Bamber Is so creative I wish I had the time to go cycling and explore the Myra Canyon too! Visit her blog called Just a Smidgen. 8) Jon and Amber blog is called The Ginger Kitchen and are foodies and love their vegetarian meal ideas. 9) Under the Blue Gum Tree is from South Africa and I started following her because of her blog name, but have enjoyed reading and following her monthly themes. 10) April shares her Love of photography and cooking with great recipes and picutres in her blog Food n’ Focus. 11) Bean Sprowt Crocodile Lorna is an animal nut and has some great stories that will bring a smile to your face. 12) John writes a wonderful blog and shares stories of life in Northern Canada called Sybaritica. 13) Sally at My Custard Pie is from the UK living in the Middle East and sharing her kitchen with us. 14) Delicious Goodies Galore has great recipes and links to other sites that were wonderful. 15) In Pursuit of More but Living with less has a great story and Love her idea of middle ground…Some live to eat…others eat to live and some barely eat at all. Keep up the great work and check out her idea of giving back to the community. I hope you all take the time to check out these amazing blogs. 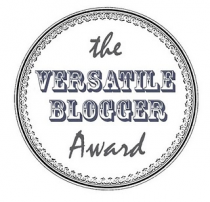 Thank you so much for nominating me for these blog awards. I am so glad you have enjoyed my posts and look forward to exploring all these other fabulous blogs. Ooh my goodness, I’m completely and utterly surprised to be on this page, thank you so so much for nominating me! I feel completely undeserving of it, but thank you very much! Thank you so much for the nomination and kind words. Congrats on your nomination as well! Thanks so much for the nomination – the first time I’ve been nominated for anything and brought a much needed smile to my face this morning. Wow! Thank you so much! This is our first nomination and it’s such a great feeling to know what people think about our company. You have earned endless “Brownie Points” with us!